World renowned evangelist Billy Graham says retirement is a gift from God and shouldn't be squandered, but used according to His plan and purpose. In response to a question posed by a reader of his syndicated column in The Kansas City Star, Graham explains that retirement should not be wasted on "meaningless, self-centered activity, or on an over preoccupation with health or worries." The founder of the Billy Graham Evangelistic Association implores his readers not to waste their precious golden years, but to seek God for direction. "This is why I urge you to begin with a simple prayer: 'God, how do you want me to spend my retirement years? What is your plan for the rest of my life?'" It's a simple prayer, and Graham says God isn't looking for anything grandiose. "He loves us and adopts us into His family, and we can talk with Him the same way our children talked with us. The Bible says, 'The Spirit Himself testifies with our spirit that we are God's children'" (Romans 8:16). Graham encourages believers to read Scripture to learn how to hear God's voice as He speaks to them though His Word, and to "talk with Him as you bring your concerns to Him in prayer." The 98-year-old evangelist says that while he doesn't know how God will answer, He will. "Perhaps He'll give you new ways to enjoy these years or open up new opportunities for work. Most of all, however, I urge you to find ways to serve others through your church or community." Providing additional inspiration, Graham cites the Bible verse Jeremiah 29:11, which says, "God's promise is always true: For I know the plans I have for you ... plans to prosper you and not to harm you, plans to give you hope and a future." Graham's son, Franklin Graham, president of the nonprofit organization Samaritan's Purse, has said that some Christians struggle with God's plan for their lives whether it be because they feel they are too old, too young, or not prepared. During a sermon at Gateway Church in Southlake, Texas, earlier this month, Franklin addressed the concerns of many believers who struggle with God's calling on their lives, whether it be that they feel they are too young, too old, or not prepared. He explained that believers can learn how to better follow Christ using an easy-to-remember acronym, C-E-O: Consider the cost, make no excuses, and be obedient. 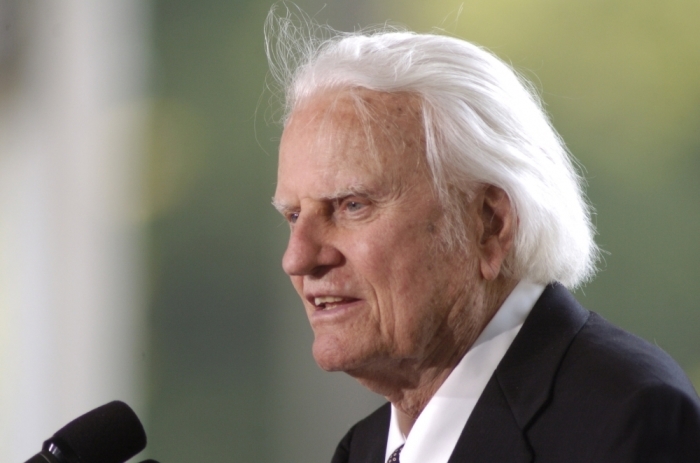 Billy Graham Answers: Is It OK to Skip Church and Watch Sermons at Home?